Where is Woodfields? Woodfields is located in SE Ocala, North of SE 17th St. and South of Ft. King ST. It is adjacent to the Historic District. Why do people like to live in Woodfields? People love the in town location. 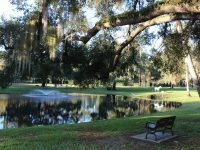 It is close to the hospitals and downtown Ocala. Very convenient to everything including all the fun of downtown Ocala. They also love the variety of architectures and the older homes with character. The school zones are great here too. I want more neighborhood info. Woodfields is just one section of the area. A section may be called by a different name for example Hidden Acres or Edgewood Park. The schools that are zoned for this area are 8th St Elem., Osceola Middle and Forest High. The city of Ocala provides Utilities. I like the area, but want a newer home. Sure. we understand. You may want to look at neighborhoods like Woodfields Crossings or Laurel Wood. I want to sell my homes here. What is it worth? Your home value depends on many factors. Please click here for a free market analysis then we can create a good marketing plan to get it sold! I want to look at homes here. Great! This is not a gated area so enjoy your drive, be safe and respect the residents. Below you will see a list of homes currently available. If you want to take a look at any, just let me know so we can set that up!